Lemmings are arctic rodents similar to voles. In Kilpisjärvi they were very plentiful this year. 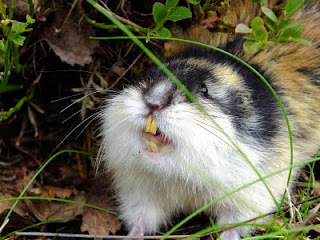 Our nature enthusiast Stuart managed to get quite a few very nice photographs of these creatures during his stay. Today we post the best of them. 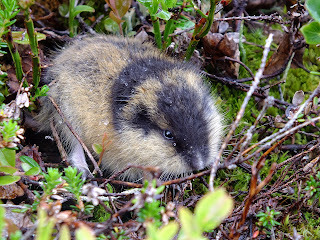 There are many species of Lemming found around the arctic, this one is the Norweigian Lemming and this year it was very common. The population of Lemmings vary in a cycle during which they increase in number until the habitat can no longer support so many and they are forced to migrate en masse to find food. In some years the population reaches plague proportions when the ground is literally crawling with them. During these plague years large numbers of them die crossing rivers, lakes and other obstacles, which led to the myth of 'mass suicide' this myth was further enhanced by a so called wildlife documentary made in 1958 by Walt Disney in which hundreds of lemmings were captured and taken to the top of a cliff in Canada, they were then forced to run on to a revolving turntable which hurled them off the cliff thus creating the myth. 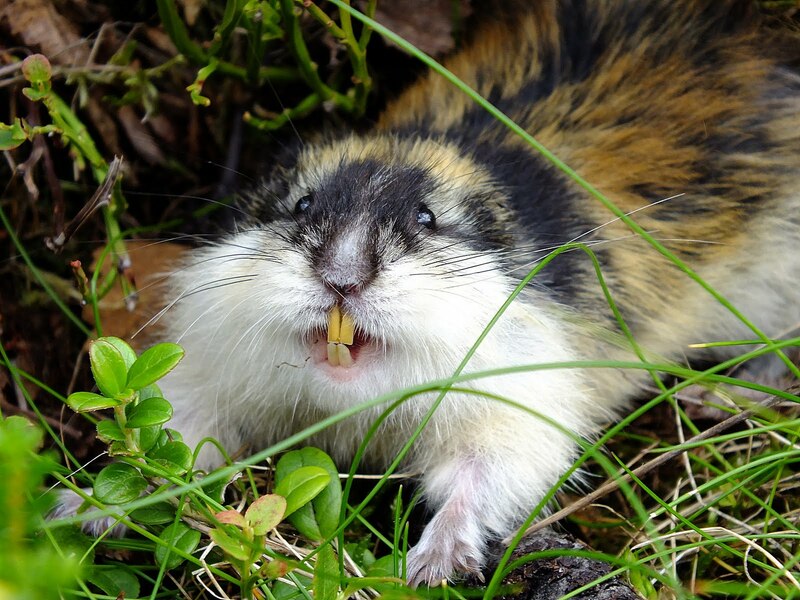 Cute lemming. Copyright Stuart Keenan. I discovered they are not always so cute though and some would squeek loudly as I past and actually challenge me if I moved closer. Angry lemming. Copyright Stuart Keenan. It goes without saying that this year, there also seem to be quite a lot of young well fed owls. On my way back to Sodankylä I counted at least 15 young owls beside the road, preying for voles and lemmings that were brave enough to attempt crossing a road -- a common sight this year as well. 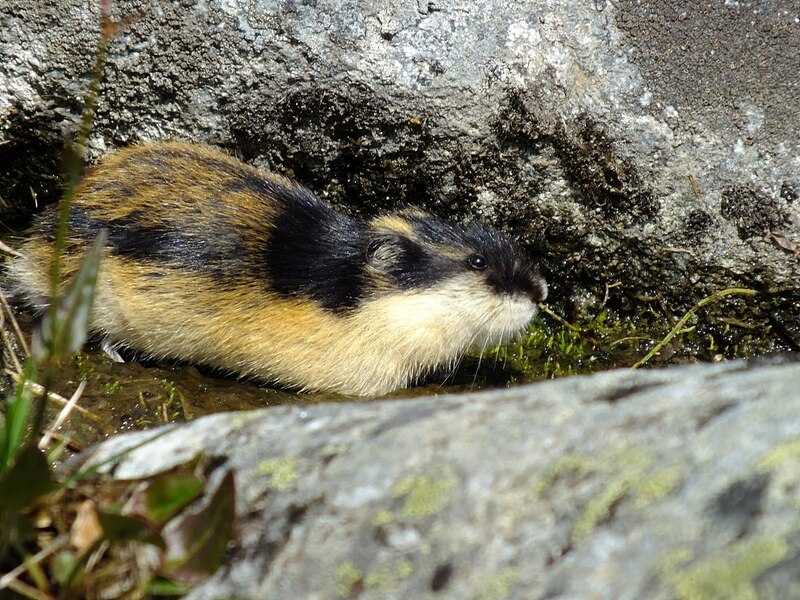 Calm lemming. Copyright Stuart Keenan. At first I thought the reason for the aggressive behaviour of some lemmings might be because they were females with young nearby, but one of the biologists told me that breeding lemmings tend to be pretty quiet and its more likely to be individuals on the move, perhaps when they are on the move they are more vulnerable to predators and therefore more defensive. 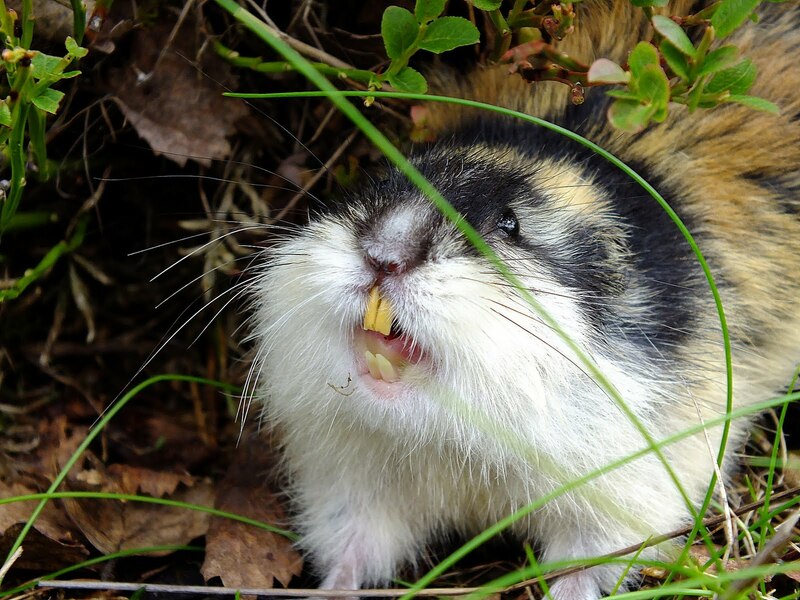 Agitated lemming. Copyright Stuart Keenan. 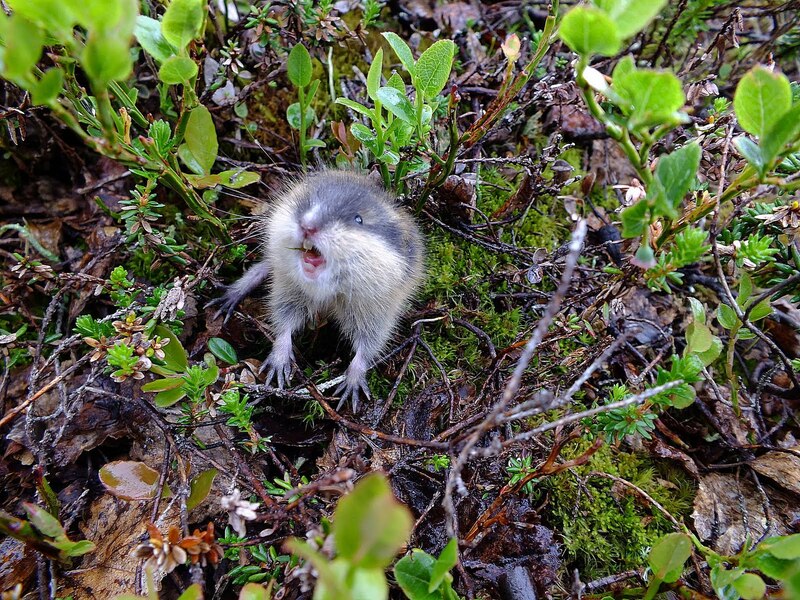 Very agitated lemming. Copyright Stuart Keenan. Photos and text: Stuart Keenan.